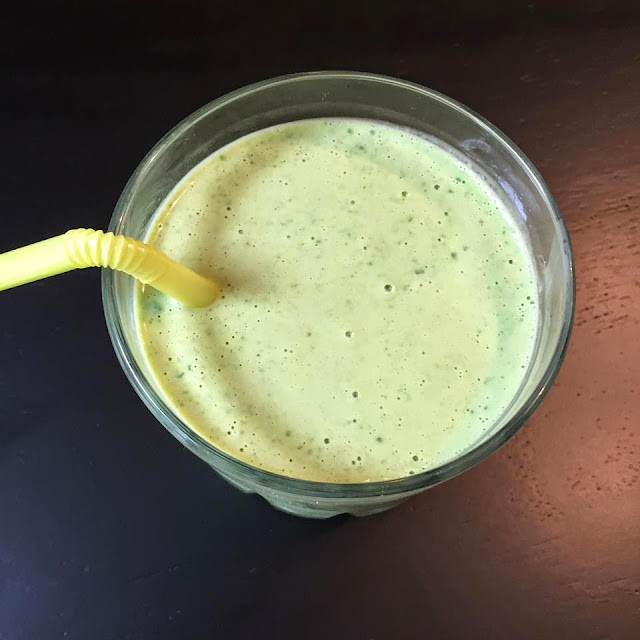 Start your day with a Skinny Green Monster Smoothie! Why should you try a GREEN MONSTER?? Vitamins!! A, C, K, iron, fiber, folate, lutein, magnesium, potassium, protein and calcium! Place all the ingredients into a blender, add ice (optional), and blend until smooth. You can really make this so many ways, add flax seeds, add protein powder, throw in blueberries, etc. Start with this basic recipe and play around with variations. Give it a try!